Elites are delighted to be reassured that there never was a crisis and indeed there never will be. No financial crisis, which might interrupt profitability. No ecological crisis, which might despoil their inner compounds. No housing crisis, which might involve them becoming permanent tenants. No food crisis, which might mean that their plates and cups were not brimming over. If there was a crisis then it was a crisis for others, which as usual for the callous meant no crisis at all. At the same time, we have seen the rise of radical new possibilities, ideas and demands. Democratically elected states contested the technocratic puppets governing them; those who had built nations asked that they no longer be routinely murdered in t he streets; students reclaimed their universities from their twisted administrators; tribunal deliberations confirmed that tangata whenua had never ceded rangatiratanga; mass demonstrations rose against ‘austerity’; economists demanded confiscatory taxes on capital; novelists called the bluff on their illiterate rulers; socialist and feminist parties confronted arms traders. This conference and social change forum invites participants to share their learning about the possibilities, ideas and demands actually existing in present economic, political and cultural arrangements. The event will be equally scientific and programmatic, combining the most important ideas and analyses of the present with concrete programmes for social change. Rejecting the alternatives of academic conference, political rally and direct action, this meeting intends to be none of these but all, and more. 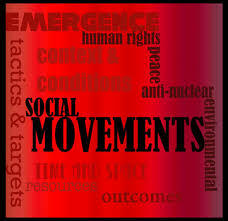 This meeting will build on the 2014 Social Movements, Resistance and Social Change conference which brought together and provided a mapping of social movements locally and globally. That meeting provided a valuable overview of resistance and social change on behalf of responsibility, sustainability and social equality, the results of which will appear in a forthcoming issue of Kōtuitui: New Zealand Journal of Social Sciences Online. The 2014 conference created sustained relationships across the left including the establishment of an eSocSci social movements network for developing and continuing these conversations. The 2015 event will extend this work of mapping and understanding social movements, resistance and social change. Beyond this, it invites discussion around questions of what is possible, what can be thought and what can be demanded today. We invite participation in a variety of forms. The three days will provide considerable time for open discussion and debate. We therefore welcome particip ants who would rather not present a formal academic paper but can instead share their experience and learning with others. Participants wishing to attend but not present a paper are invited to email with an indication of interest. We invite submissions from presenters in the form of an abstract of no more than 500 words. Abstracts are due 15 June 2015 and notification of acceptance will be made by the end of June. To strengthen existing relations and develop new forms of collaboration. Working on social bonds amongst those in resistance movements is our first objective. To develop concrete programmes for social change, whether in the form of new ideas, social practices, laws and/or institutions. Our goal is to develop all of these, in part and in whole, ultimately in concert together . Scholarly papers presented at the conference and forum will be invited for consideration for publication in a special issue of the journal New Zealand Sociology. Full length papers should be prepared for the September meeting, after which there will an opportunity to take on board feedback. The deadline for final submissions for the special issue is 31 October 2015. Conference participants are also invited to consider publishing their work in the new journal Counterfutures: Left Thought and Practice Aotearoa. For further details visit: http://counterfutures.blogspot.co.nz. This issue of New Formations presents a range of exciting new work which spans and connects the fields of cultural studies, literary theory and radical political philosophy. Two contributors are concerned with the specificities of contemporary sexual politics. Three others address the relationships between writing, disclosure and interpretation. A further two texts offer radical philosophical interpretations of emergent political currents in Greece, Spain, Turkey and beyond. 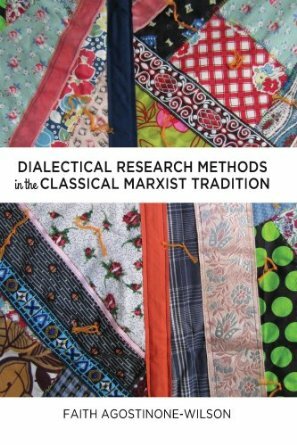 While there is no single theme, all the contributions share a concern to bring the most sophisticated theoretical tools available to bear upon the analysis of a range of urgent and emergent political questions. This continues to be the overriding purpose of New Formations: to explore the intersections between culture, theory and politics in order to understand the changing nature of each in the twenty-first century. Caspar Melville Can sociologists write? The faculty members of the Department of International Relations at Istanbul University, are preparing a conference titled “Political Science in Contemporary World: Neoliberalism, Crises and Social Resistance Movements: Theorizing and Experiencing Politics“. The conference is scheduled from 10-12 December 2014 in Istanbul. It will be the second of the annual conferences organized by our department. This year’s conference will focus primarily on late neoliberalism and neoliberalization paths: their impact on various aspects of social formations such as state forms, social classes, social resistance movements, political regimes, rationalities of government and gender regimes. 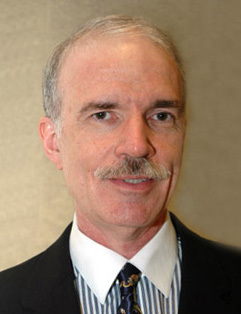 Prof. Jamie Peck will be the keynote speaker of the conference. The deadline for submitting abstracts was September 5, 2014 but it has been extended for three weeks. We look forward for your submissions. 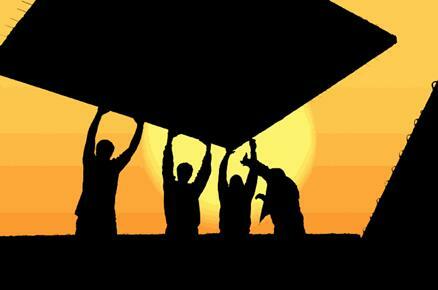 Interpretations of global labour in the age of neoliberal capitalism urgently demands robust and critical historical and comparative analysis. For decades, research on labour collective organisation has focused almost exclusively on workers collectively employed on a stable basis in industrial settings or in the public sector, defended by collective bargaining, represented by trade unions and inserted within relatively stable systems of industrial relations. This view however it has always failed to take into account the transformative potentialities of that vast, rich and meaningful array of ‘precarious’ work experiences and relations that allow the production and re-production of capital as a whole. Women’s labour in the sphere of social reproduction, low-waged workers who work outside conventional work as subcontractors in global production chains or in the informal economy of the global cities or as crowd workers in the digital economy, migrant workers whose exploited work often lays at the margin of legality, new groups of dispossessed people forced into the labour market, are categories of workers traditionally excluded and neglected by the labour relations literature as labourers; often considered unproductive, unregulated, and thus unrepresentable. Considering the speed of development and intensity of integration of global capitalist processes and the political turn to neoliberalism, which have brought about new (or refreshed old) paradigms to increase workers’ productivity and profits, absent has been the signal importance of these ‘invisible’, precarious workers, today representing not just the vast majority of workers in the global South but also increasingly shaping the social landscape of cities across the world. 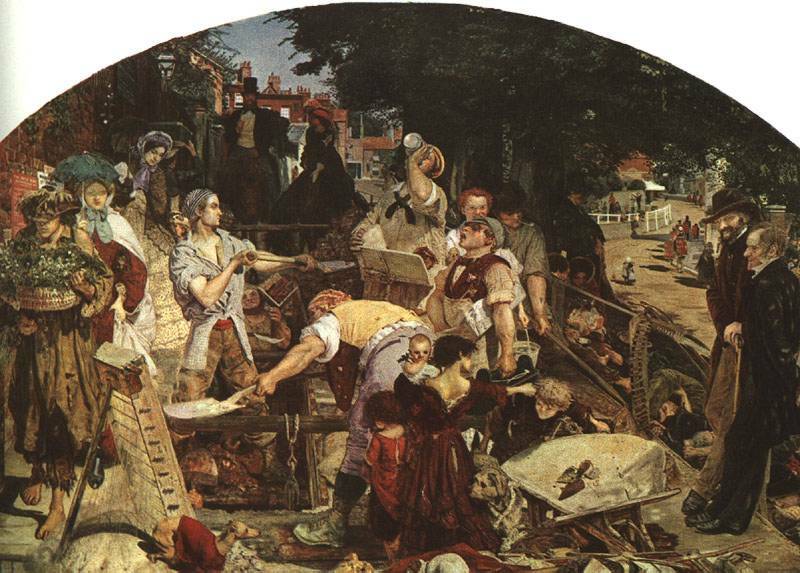 The conventional notion of the working class, based on the industrial, waged worker, has been questioned for not considering how different labour regimes co-exist and contribute to the development of capitalism as a system, especially women engaged in social reproduction. The social organisation and militancy of workers it has been reduced to workers’ resistance to official strikes organised by representative trade unions, the ‘institutionalised form of resistance’, leaving aside the rich history and tradition of workers’ self-organisation. This remains crucial today in framing precarious workers organisation and in setting possibilities for transformative agency. Geographically research concentrated on struggles at the workplace without considering the linkages of these with broader struggles over workers’ daily lives. In the past 30 years, one sided views of labour has been explicitly based on the political role assigned to the industrial workers. Either from a revolutionary or a reformist perspective this particular section of the working class was considered central to any transformative politics. 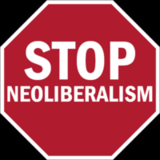 The advent of neoliberalism has swept away many of the elements upon which this centrality was built, leaving a tabula rasa, politically and theoretically speaking. From an empirical point of view, diversity, heterogeneity, unevenness, unpredictability characterise most workers’ struggles of the 21st century. Against this theoretical and empirical gap in knowledge, the aim of this special issue is twofold. It aims to offer insights on the daily lives, organization and resistance of precarious workers, intending these in broader terms, as employed in a range of different sectors, geographical and spatial landscapes, economic environments, and regulatory employment regimes. It aims to produce new knowledge into the connections between these different workers’ struggles and the specific socio-economic, historical and productive context in which have developed. This is an important and astonishing book. It is a Marxist book. 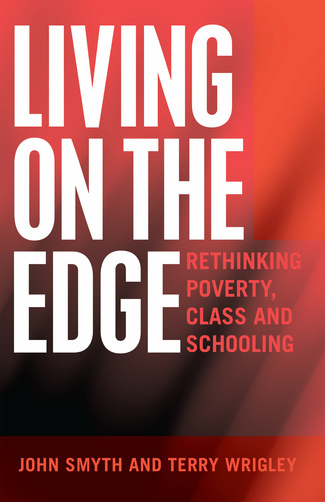 It systematically charts and critiques the havoc being wreaked by neoliberal and neoconservative Capitalism on society, on schooling/ schools and on higher education, across five countries: the USA, England, Turkey, Ireland and Greece. Following a theoretical chapter on Immiseration Capitalism, the first part of the book examines in detail the destructiveness and degradation effected by national and transnational Capital within these five societies, and the privatising, marketising, commodifying, degrading and impoverishing impacts within these five countries’ broader society, within/on the schooling system and within / on higher education. Very importantly, the book goes beyond critique, beyond deconstruction, beyond anger and analysis. In Part Two of the book, leading Marxist analysts and activists from these five countries examine the Resistance to neoliberalising/neoconservatising policy and practice. In each case writers answer the question: What is the ‘Resistance’? Where is the Resistance? How is it Organised? How Successful is it? What are the Barriers to its Effectiveness? How can it be Developed to be more Effective? In the Third and Final section, writers look to past and contemporary successful examples of Socialist Education, in the former Soviet bloc, and in Latin America, Venezuela. Again, writers, while noting the varied successes of such socialist or Marxist education, always remain critical- and self-critical. 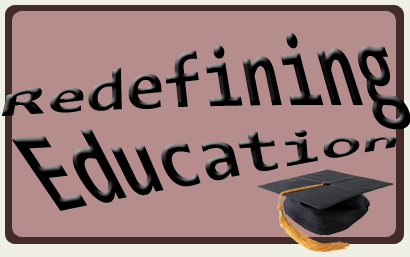 The Conclusion, building on the critique within, summarises, and looks to the future, in terms of building the disparate resistance within schooling, higher education, communities and within the national societies- learning internationally. This book, written by noted and leading Marxist authors and activists, is an important contribution to Marxist education and broader theory- but also a spur to revolutionary anti-capitalist praxis-in education and beyond. 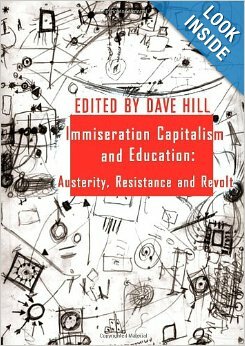 Dave Hill is a Marxist academic and political and educational activist. He has fought ten elections in England at local, national and European levels, been an elected trade union regional leader and, when the Labour Party was left-wing, was a Labour Group (Council) Leader. 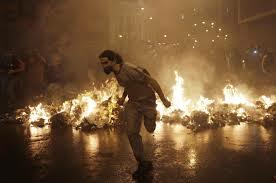 In terms of Direct Action, he has recently been tear-gassed while on anti-government demonstrations in Athens and Ankara and is an activist in TUSC (the Trade Unionist and Socialist Coalition) and in Left Unity. 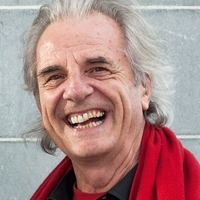 He co-founded the Hillcole Group of Radical left Educators in 1989 and chaired it until 2001, founded the Institute for Education Policy Studies (www.ieps.org.uk) in 1989 and set up the Journal for Critical Education Policy Studies (www.jceps.com) in 2003. Since then, it, a free online peer-reviewed journal, has been downloaded a million times- free of charge. The journal went into print production in 2012 (available for purchase). He is Research Professor of Education at Anglia Ruskin University, England, and Visiting Professor of Critical Policy and Equality Studies at the University of Limerick, Ireland, and Visiting Professor of Education at the Universities of Middlesex, London, England, and Athens, Greece. The current crisis reveals one of capitalism’s key contradictions: the relationship between rights, the state and society. Giving primacy to austerity politics, governments appear unable to guarantee basic rights vis-à-vis market forces. These developments constitute fundamental challenges to social reproduction. Governments have for example been pro-active in protecting banks’ rights in foreclosures and housing evictions at the expense of people’s right to housing, or imposed labour reforms marking a retreat of labour rights and rights to decent work. Similar trends can be observed with respect to welfare rights, the right to education, the right to water or democratic rights that go beyond ballot boxes, such as the right to protest and claim public spaces. Of particular importance here is also the political ecology dimension, with a focus on the financialisation of nature, enclosure of commons, and the green economy as a new hegemonic project. Resistance movements and civil society organisations/groups increasingly challenge private property rights and demand collective socio-economic and human rights. Academic discussions of rights have long been a prerequisite of liberal political philosophy and received little attention from critical scholars. What can scholars in law, political economy, political science and sociology contribute to a critical understanding of rights? How does an emancipatory conception of rights look like? What are common rights, and/or rights to commons? How could such conceptions add to a critical understanding of crisis and resistance? This two-day conference in Vienna seeks to explore interlinkages between crisis, resistance and rights in an open, genial and reflexive manner. We are interested in all of the above plus more, and wish for the conference to cover a wide range of topics. As such, we seek contributions from scholars with an interest in political economy research, regardless of their disciplinary affiliation and whether they are in academia or not. We also hope to attract a diverse range of participants, from a variety of countries and backgrounds. To this end, limited funds will be available for assisting PhD and early career scholars, especially those from Central and Eastern Europe, with their travel and accommodation costs. Abstracts of around 250 words should be submitted to cpern@criticalpoliticaleconomy.net by no later than 1 March 2014. The applicants will be informed of the selection committee’s decision by 1 April 2014. There is no fee for attending and participating in the workshop. The workshop language will be English. The Critical Political Economy Research Network (CPERN) promotes and facilitates research aimed at understanding recent transformations of capitalism and capitalist societies. The primary focus is on Europe, but CPERN is in no way restricted to just this part of the world. CPERN’s purpose is to reassert the centrality of political economy perspectives and to promote critical and emancipatory scholarship. It is a hub for interdisciplinary exchange, straddling principally the disciplines of sociology, politics and economics, but also reaching out to geography, social policy and law. The conference is taking shape. The first call for papers is 3 December 2013; but abstracts are already coming in. Click here to see the abstracts already accepted, and here for the symposia proposed so far. DPR is democractic; and the conference reflects this, taking shape and developing its agenda as colleagues discuss ideas and as proposals come in. We strongly encourage you to get involved at this early stage by sending in proposals for papers, workshops, posters, exhibition work or performance relating to the issues around exchange and change. Help to shape the conference agenda. DPR is serious, but it’s extraordinarily friendly and invigorating. The DPR website has been updated. We hope it will be easy to use and a quick way to find out everything you need to know about the conference, the venue, travel, accommodation, registration and fees. Further information is being added regularly so please keep browsing the site. 1. Pat Sikes has asked me to circulate information about the 2014 Qualitative Book of the Year Award: Call for Nominations. (Deadline: November 15, 2013). Click here to find out more. 2. Dorit Kedar has sent information about the publication of her major project: The Book of Inter-religious Peace in Word and Image. Click here to read more. Please will you help to spread the word about the conference by forwarding this Newsletter to colleagues, networks and institutions you think may be interested. Please contact me if there is any further information you would like, or to discuss a possible contribution to the conference. STOP PRESS: Stefan Collini – author of What Are Universities For? (Penguin, 2012) has agreed to be a keynote speaker. For a foretaste of his brilliant wit and comprehensive understanding of contemporary Higher Education, read his Sold Out in the London Review of Books, 24 October 2013. Note: Click here to read this newsletter via the DPR website. DPR is an annual international conference that has been held each Spring since 2002. The conferences began with a focus on the social, economic, political and cultural forces that shape education policy and practice world-wide. Over the years this broad focus has been maintained; but what has established the international reputation of DPR has been the on-going critical analysis of issues of social justice, and the commitment to enable silenced and marginalized voices to be heard: discourse, power, resistance. At least in the humanities and social sciences, research needs to be reciprocal: asking questions, we are called in question, the researcher researched; and the outcome is mutual understanding one of another. The otherness of strangers, our essential strangeness one to another, brings us together to new insights which are never complete but always shared: to research is to be, in John Donne’s word, involved. Research should be mutual exchange. All well and good! 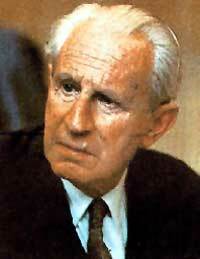 But if anything is to come of this deepened understanding – this coming together – it needs to be political. Research – exchange – is not enough. DPR is political because teaching, learning and research are political: social justice requires that new understandings lead to action. DPR14 sets out to understand and to share the huge diversity of insights that only a truly international conference can bring together; to take courage, with a view to making things change. This is the praxis Karl Marx had in mind: Philosophers have only interpreted the world in various ways; the point is to change it. How can a conference change anything? 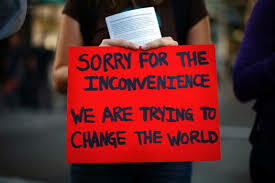 Let us say it again: we come together, we share our ideas and questions and concerns; we take courage, because we need courage to challenge and change bad practice, tired conformity. We have left on the website the abstracts that were accepted for 2013 and from the two previous years, so as to demonstrate the conferences’ on-going commitment to sustained critical analysis leading to constructive change. Presentations at the conference will take the form of papers, workshops, performances, exhibitions, and posters. The conference brings together a range of practitioners, researchers, policy-makers, learners and teachers, with ideas to share about research and practice, through single or joint presentations or as a contribution to any of the symposia that will be taking shape. Please keep an eye on the DPR web pages for further details. The first workshop (9-10 Sept) is on Discipline(s), Dissent and Dispossession and the second on Counter-Conduct in Global Politics(10-11 Sept). The workshop convenors encourage attendance at both workshops. However, paper proposals should specify the intended workshop and which days participants would be able to attend.